Founded in 1877, Longwood Cricket Club has played a pioneering role in the evolution of tennis. 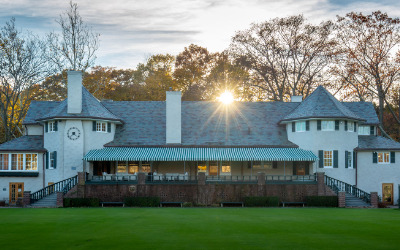 Originally a cricket club, its members took up lawn tennis, began organizing regional tournaments, and completed a move to its current Chestnut Hill location in 1922. Today the club has members playing all levels of tennis and participating in a wide range of social activities. Host site for five USTA National Championships. The tournaments are open to all USTA members. Beginning its transition from the sport of cricket to tennis adding its first lawn tennis court in 1878. Stay up to date with the status of our courts by following us on Twitter. © 2019 Longwood Cricket Club. All Rights Reserved.